We understand the difficulties of filing taxes for independent truckers and fleets – our family's been serving the trucking industry for four generations. To make submitting 2290 tax forms as simple as possible, we offer a series of YouTube videos demonstrating how to take full advantage of your new account. Sometimes, however, you've just got to talk to a real person who understands the trucking industry and its tax form requirements. Maybe you entered an incorrect VIN on the 2290 (which we correct for free, by the way). Maybe you need some clarification on how to use your account features or our free 2290Calculator©. If so, call our help line at 888-802-4299 to talk to one of our experienced staff members. Our hours of operation are 9:00 am to 5:00 pm Pacific Time. If you call after hours, or if no one is available to take your call, you'll be connected to our American call center to leave a message, which we will answer as expeditiously as possible. 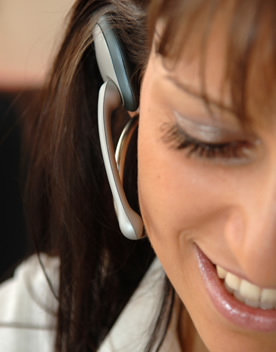 We take your business as seriously as our own, and return all calls promptly. You can also contact us through the Online Contact Form below, or email us at support@2290tax.com with any questions about your account or IRS form 2290. We want to make e-filing IRS forms a painless process, so you can concentrate on what you do best: trucking.